A devastating typhoon; a mysterious rescue mission; an encounter between a black bear and a moose; a deadly near-collision on the Homathko River; the hunting of a sea lion by two orcas. 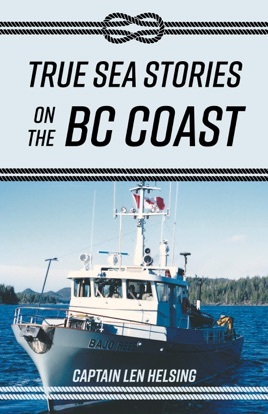 These are just a few of the experiences author Len Helsing relates in his charming, atmospheric, and often gripping collection, Fisheries & Oceans: Short and true sea stories from the BC coast. Get to know the incredible BC coastline like never before as you accompany Captain Helsing and his various crews on patrol with the Department of Fisheries and Oceans Canada.